A hypertensive emergency (formerly called “malignant hypertension”) is severe hypertension (high blood pressure) with acute impairment of one or more organ systems (especially the central nervous system, cardiovascular system and/or the renal system) that can result in irreversible organ damage. In a hypertensive emergency, the blood pressure should be substantially lowered over a period of minutes to hours with an anti hypertensive agent. The term hypertensive emergency is primarily used as a specific term for a hypertensive crisis with a diastolic blood pressure greater than or equal to 120 mmHg and/or systolic blood pressure greater than or equal to 180mmHg. Hypertensive emergency differs from hypertensive crisis in that, in the former, there is evidence of acute organ damage. A complete blood cell (CBC) and peripheral blood smear should be obtained to exclude microangiopathic anemia, and a toxicology screen, pregnancy test, and endocrine testing may be obtained, as needed. If a patient presents to the emergency department with a high B.P the role of the treating physician is to determine either the patient is exhibiting any signs of end organ damage or not. Thus, optimal control of hypertensive situations balances the benefits of immediate decreases in BP against the risk of a significant decrease in target organ perfusion. 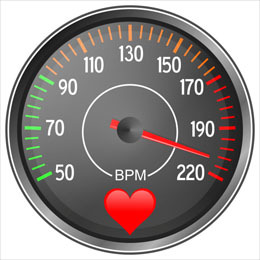 The emergency physician must be capable of appropriately evaluating patients with an elevated BP, correctly classifying the hypertension, determining the aggressiveness and timing of therapeutic interventions, and making appropraite decisions. Acutely lowering the B.P in some situations may have an adverse effect too. An important point to remember in the management of the patient with any degree of BP elevation is to “treat the patient and not the number.” In patients presenting with hypertensive emergencies, antihypertensive drug therapy has been shown to be effective in acutely decreasing blood pressure. Sodium nitroprusside is a commonly used medication. It is a short-acting agent, and the BP response can be titrated from minute to minute. However, patients must have constant monitoring in an intensive care unit. The potential exists for thiocyanate and cyanide toxicity with prolonged use or if the patient has renal or hepatic failure. Diazoxide may also be used in hypertensive crisis. Small boluses of 100 mg are administered every 5 minutes, as indicated. Diazoxide is not preferred with concomitant congestive heart failure or low cardiac output. Labetalol, an alpha- and beta-blocking agent, has proven to be quite beneficial in the treatment of patients with hypertensive emergencies. Labetalol is particularly preferred in patients with acute dissection. Boluses of 10-20 mg may be administered, or the drug may be infused at 1 mg/min until the desired BP is obtained. Once an adequate BP level is obtained, oral hypertensive therapy should be initiated, and patients are gradually weaned from parenteral agents. Fenoldopam has recently been approved for the management of severe hypertension in the USA. It is a dopamine agonist (DA1 agonist) that is short acting and has the advantages of increasing renal blood flow and sodium excretion . Fenoldopam has relatively unique actions and represents a new category of antihypertensive medication.The onset of action is within 5 min, with the maximal response being achieved by 15 min. No adverse effects have been reported. Nifedipine has been widely used via oral or sublingual administration in the management of hypertensive emergencies, severe hypertension associated with chronic renal failure, perioperative hypertension, and pregnancy induced hypertension. A significant decrease in blood pressure is usually observed 5–10 min after nifedipine administration. Pre eclampsia and EclampsiaThe preferred medications are hydralazine, labetalol, and nifedipine. Avoid – Nitroprusside, angiotensin-converting enzyme inhibitors, esmolol. In women with eclampsia or preeclampsia, the SBP should be < 160 mm Hg and the DBP should be < 110 mm Hg in the antepartum and intrapartum periods. If the platelet count is less than 100,000 cells mm3, the BP should be maintained below 150/100 mm Hg. Patients with eclampsia or preeclampsia should also be treated with IV magnesium sulfate to avoid seizures. Hydralazine is a direct acting vasodilator. Following intramuscular or intravenous administration there is an initial latency period of 5–15 min followed by a progressive and often precipitous fall in blood pressure that can last up to 12 hours . Volume depletion is common in patients with malignant hypertension, and the administration of a diuretic together with a hypertensive agent can lead to a precipitous drop in blood pressure. Diuretics should be avoided unless specifically indicated for volume overload as occurs in renal parenchymal disease or coexisting pulmonary edema. Patients with hypertensive crises may require immediate reduction in elevated blood pressure to prevent and arrest progressive end-organ damage. The best clinical setting in which to achieve this blood pressure control is in the intensive care unit, with the use of titratable intravenous hypotensive agents. There are several antihypertensive agents available for this purpose, including esmolol, nicardipine, labetalol, and fenoldopam. Although sodium nitroprusside is a rapid acting and potent antihypertensive agents, it may be associated with significant toxicity and should therefore only be used in select circumstances and at a dose that should not exceed 2 ?g/kg per min. The appropriate therapeutic approach in each patient will depend on the clinical presentation. What Is Chemical Pregnancy ?